Discussion in 'Japanese Cars' started by Ihatedomestic, Jun 9, 2014. 1.) 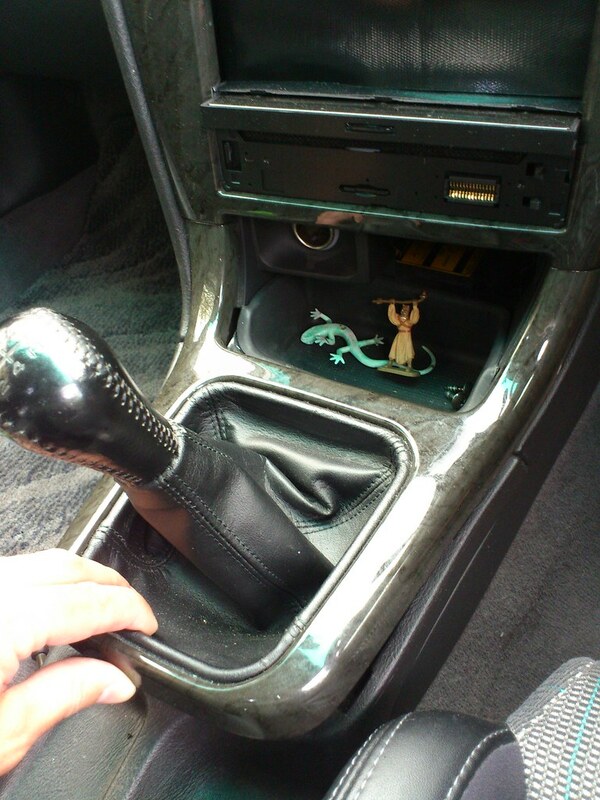 Unscrew the shift knob. It's just threaded on there. Grab your knob and give it a twist. 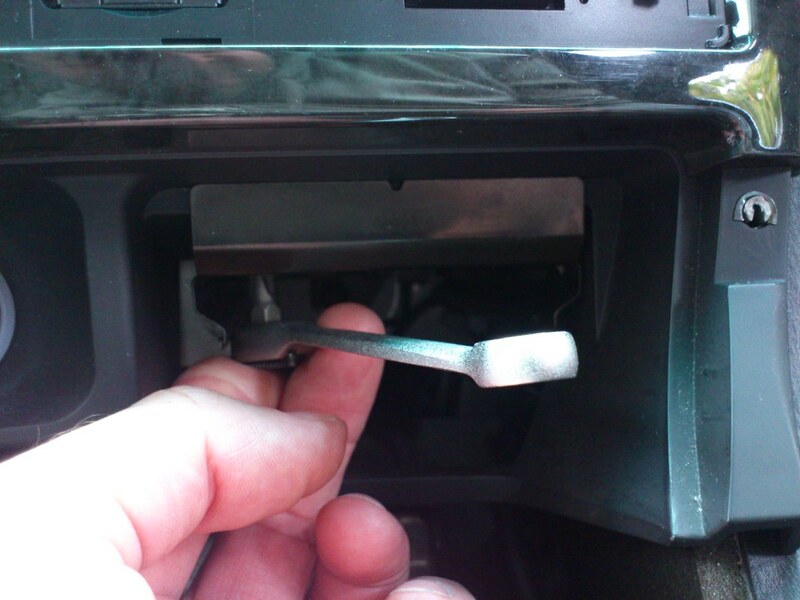 Once completely unscrewed, it will sit on top of the shift linkage, held in place by the shift boot. 2.) 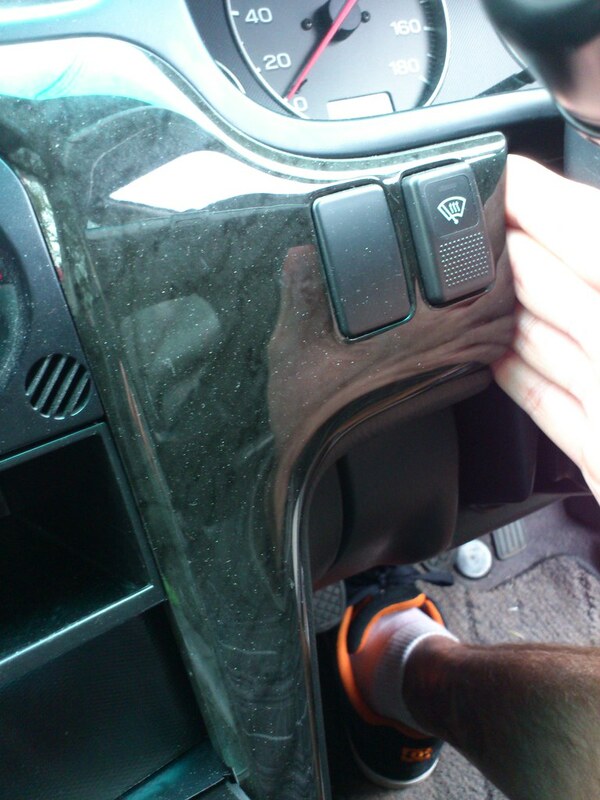 Lift up the trim surrounding the shift boot. Start at the back end and lift. There are 4 spring clips which hold it in place. Watch out for Tusken Raiders lurking in your storage compartments! NOTE: You WILL break off the 2 alignment pins at the front of this trim piece. Mine were broken when I got it. I glued them twice and broke them off, no matter how hard I tried not to. These mini ratchets are one of the best tools to have in any tool box...and you can't beat the price. Get one if you don't have one! 4.) 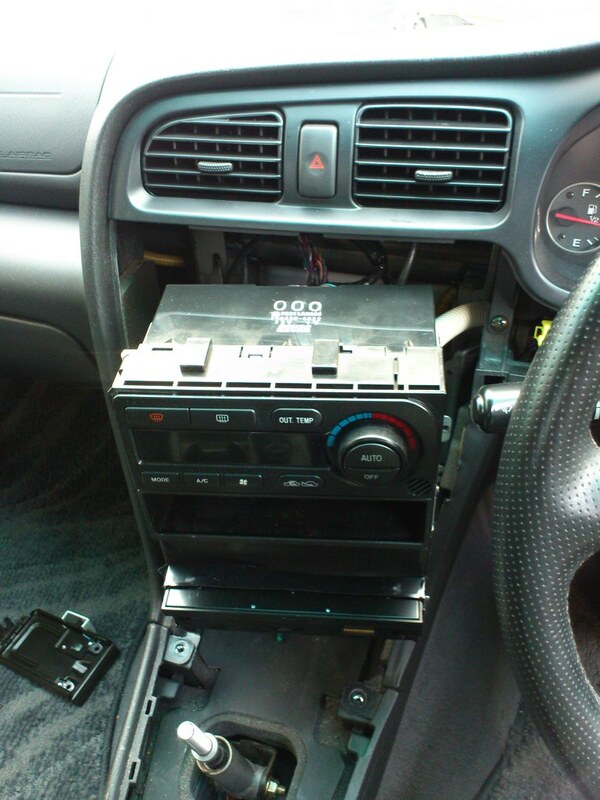 Remove the little storage tray located under the ash tray and 12v socket. Remove 2 screws, slides rights out. 5.) 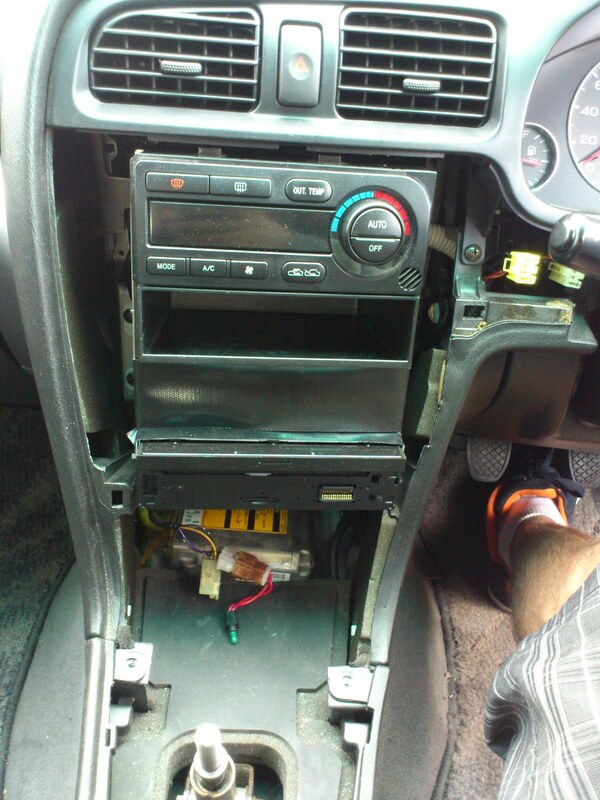 Now you're ready to remove the trim surrounding the radio & climate control. Start close to the steering column. 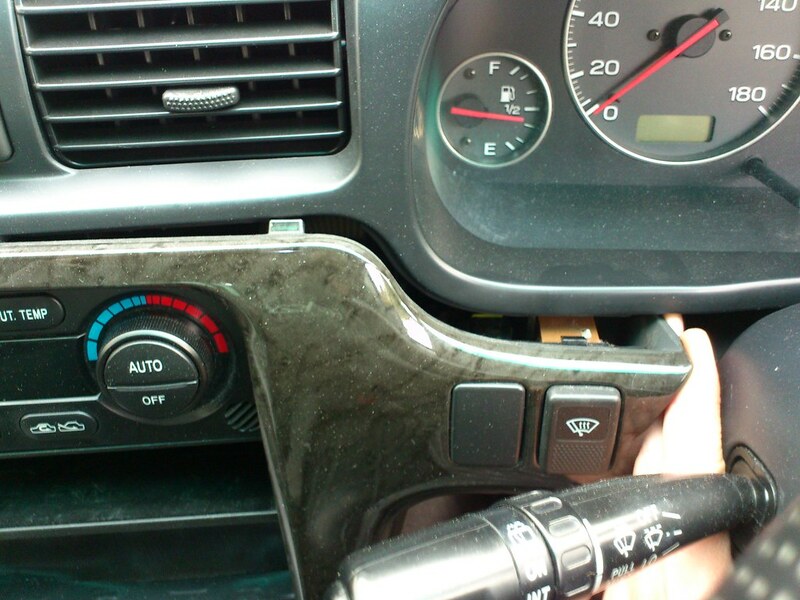 Slide your hand in between the gap between the dash trim and the column...then pull. Yep, just yank on it...that's how I do it. Nothing broken yet! 6.) 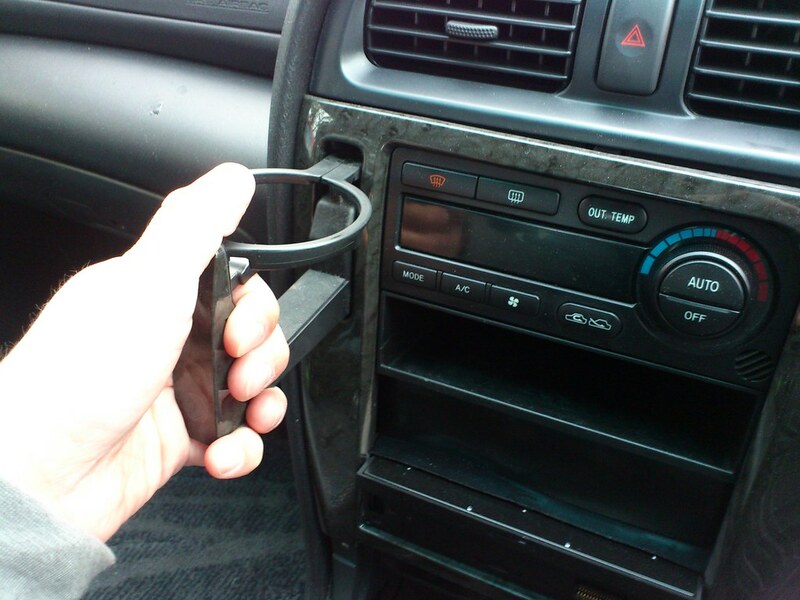 Now that things are loose on the right side...pull out the cup holder, grab it firmly and again, give it a pull. 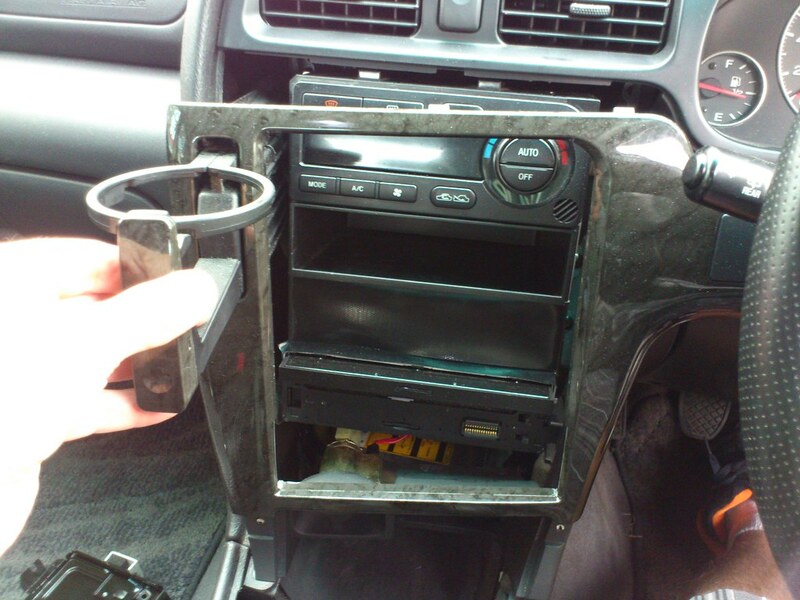 This should loosen the entire left side of the dash trim. If not, keep pulling...it'll come apart eventually. At this point you'll want to unplug the cigarette lighter socket and disconnect the little light bulb that lights up the socket. I found it easier to remove the bulb socket (1/4 turn, then pull out) then to disconnect the harness. That connector does not want to come apart easily. 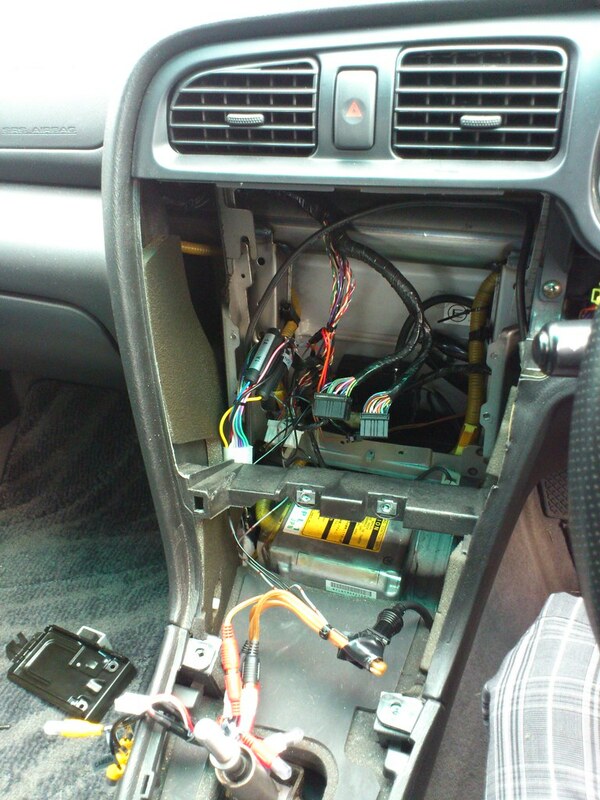 ...and leave you with a gaping hole with a huge mess of wires inside. The wiring close the shifter and the part that looks like a 12v socket is the wiring needed to use the OEM McIntosh amp under the driver's seat. (See more about this in my GT-B thread). As I mentioned before, these is a white corregated tube that runs from the back of the climate control box, down beside the metal structure of the dash and then connects to the side of the heater box. The connection is up under the dash, above your left foot when sitting in the right seat. 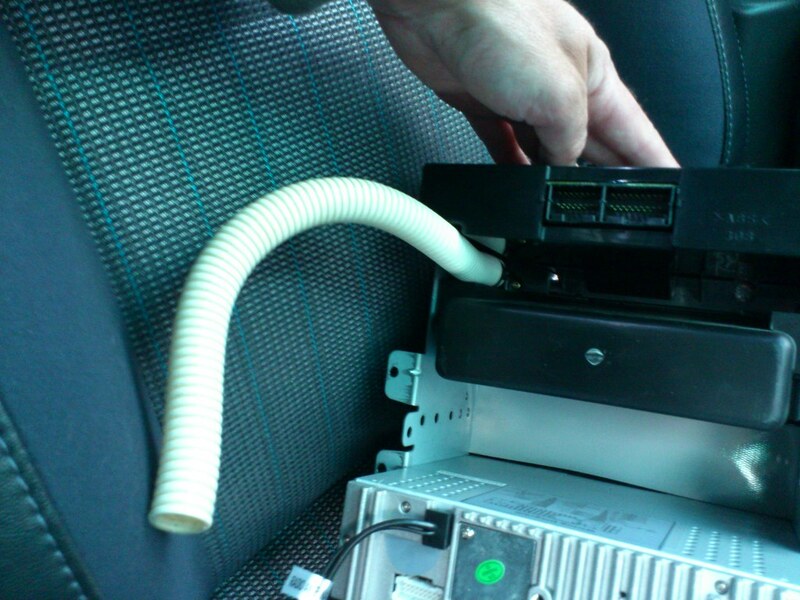 The hose apparently just slides onto a tube on the back of the climate control box...easier said than done. When assembling everything, I tried for an hour to reconnect this hose to the back of the climate control...and never ended up feeling that I had attached it properly. 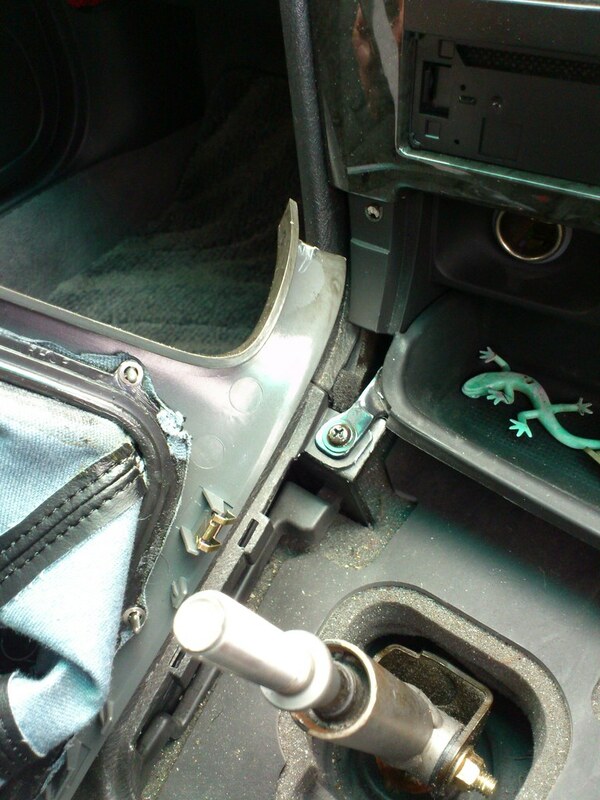 So, I pulled the tube out of the dash completely, by removing the end attached to the heater box. The tube slid right out after that. I then attached the tube to the climate control box and wire-tied it in place. Just have to remember to route it back the correct way when installing the climate control...and remember to reconnect it back up to the heater box when finished. Greg and coquitlamglenn like this. Top notch! Thanks for taking the time/effort to help others out! will definitely be using this when I take my sound system apart!